As September is coming, K10000 MAX is also approaching its releasing day. After optimizing, the software is already determined. With 10000mAh massive battery, 9V/2A quick charger and pump-express charging tech, K10000 MAX can support more than 2 hours 3G talking by 5 minutes charging. In the video, K10000 MAX is only 1% power left, and then charged by standard 9V/2A flash charger for only 5 minutes. After 5 minutes charging, the battery power just changed to 5%. We received a phone call and kept 3G talking for more than 2 hours until it is power off automatically. Technology enthusiasts would be excited to know that the fast charging features of the K10000 MAX connector are supported by its high density battery and the pump-express flash charging IC. K10000 MAX comes with Type-C port for easier plug in. 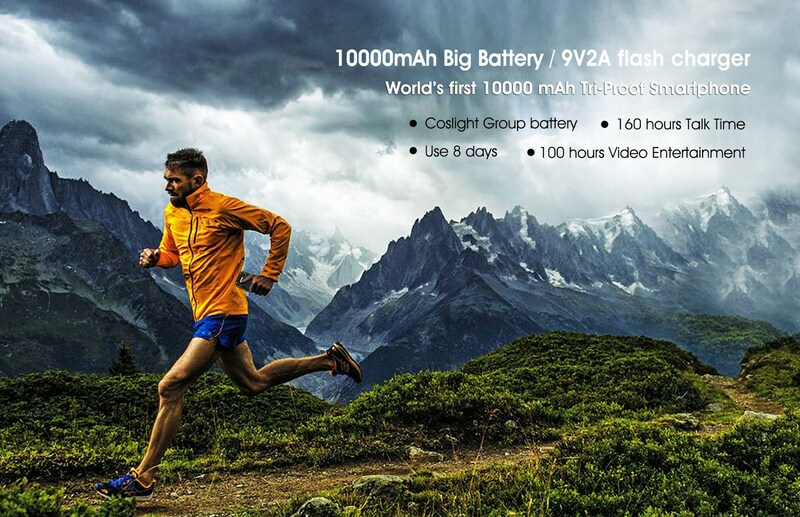 Massive battery, quick charge, easy port, super long LED, tri-proof features, all these makes K10000 MAX an amazing outdoor flagship. According to OUKITEL, K10000 MAX will start presale in early September. Re-seller stores already uploaded this product to stores. When presale starts, OUKITEL will offer a big discount off the original price and inform the specified subscribers about the half price chance.